The newly built Nerja History Museum, managed by the Nerja Caves Foundation, is located at the back of Plaza España (behind the town hall/tourist office at the Balcon de Europa) which opened in November 2011.. Ticket prices are shown below and there is also a combined Museum and Nerja Caves entrance ticket available – bear in mind that visitors from the EU can visit the museum free on Sundays (bring identification). 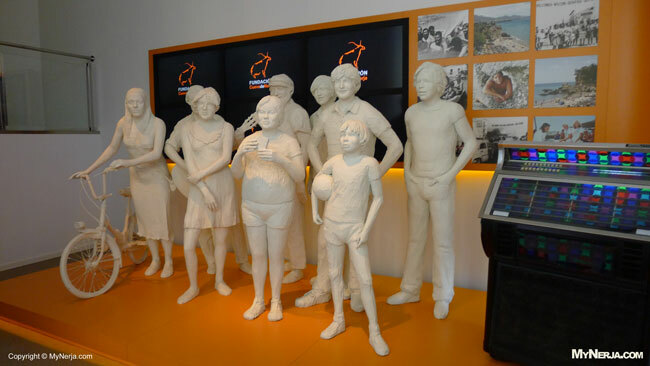 Amongst other exhibits, the museum houses the artifacts found when the caves were first discovered in 1959 (click here for more information) plus has interactive exhibits about the caves and Nerja. Closed 1st January and 15th May.